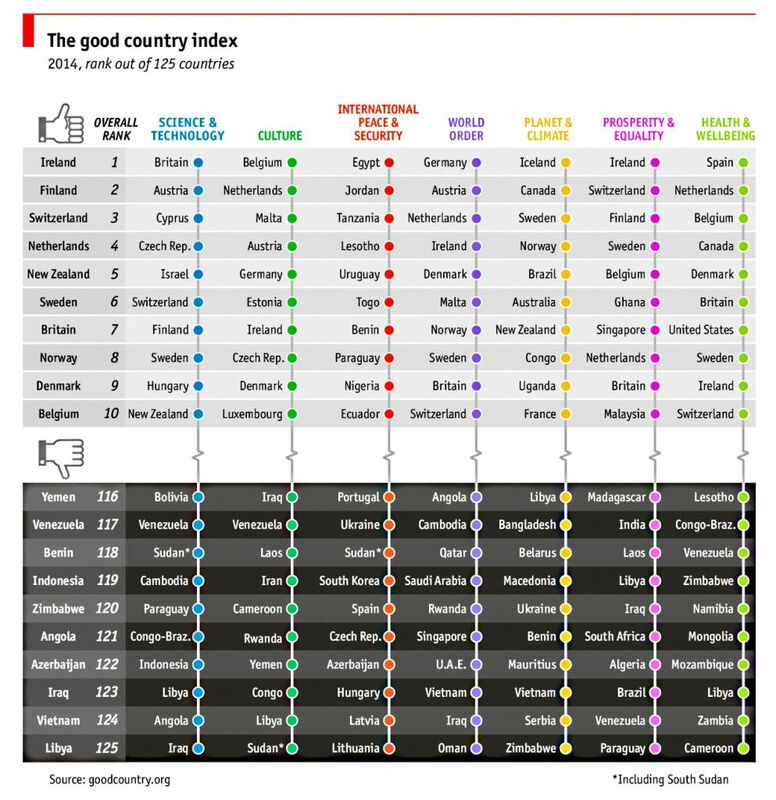 When you think of “Good Countries” or a “good” nation, what do you think of? One that takes care of it’s people? Kind individuals? Nations whose policies favor the weak and extreme poor? Top givers to the United Nations or other independent international charities? Peaceful versus warmongers or that cause trouble for neighboring nations? See the accompanying TED Talk here: http://www.ted.com/talks/simon_anholt_which_country_does_the_most_good_for_the_world? Simon Anholt, an independent policy advisor, aimed to overcome this by ranking countries based on how much they do for others globally, based on what each contributes to the common good of humanity, and what it takes away. The findings were released June 24, 2014. Not only a HUGE task, but one open to a lot of debate. What we appreciate at Good Neighbor Insurance is that we are given their baseline, and how they came to their conclusions in Overall Rank, Science and Technology, Culture, International Peace and Security, World Order, Planet and Climate, Prosperity and Equality, as well as Health and Well-Being. 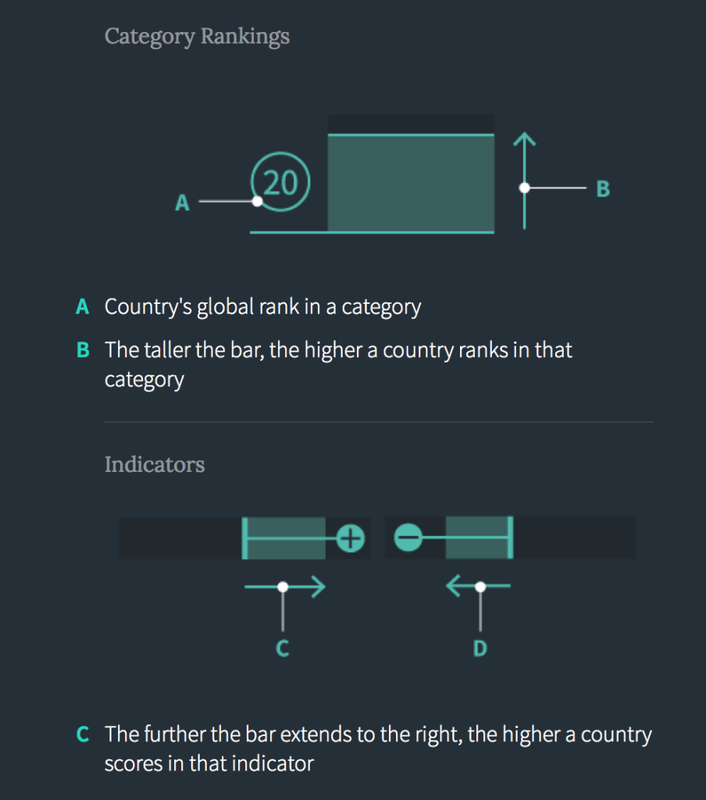 Many of these categories could detract from the overall amount of donations wealthy Americans give to other nations, either through the government or privately, through independent non-profits and international charitable groups. Some may view the findings prejudiced due to our lack of agreement on global warming, our government’s stance on Israel, our concept of capitalism and private ownership in regards to RX-drugs, fertilizer and technology/copyright law. Still, it is an interesting chart regardless of how one might differ in their opinion regarding it’s conclusions and value. Today as never before, we desperately need a world made of good countries. We will only get them by demanding them: from our leaders, our companies, our societies, and of course from ourselves. Still, is Ireland really Number 1? 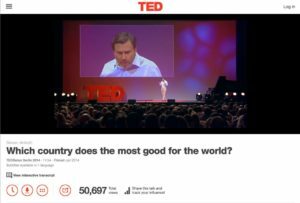 Simon Anholt states: “When you think about your own country, when you think about other people’s countries, when you think about companies, when you talk about the world that we live in today, start using that word (good) in the way that I’ve talked about in my TED talk (here). Not good, the opposite of “bad,” because that’s an argument that never finishes. “Good,” as the opposite of “selfish.” Ask yourself, “Is that what a good country would do?” And if the answer is no, be very suspicious. Ask yourself, is that the behavior of my country? Do I want to come from a country where the government, in my name, is doing things like that?